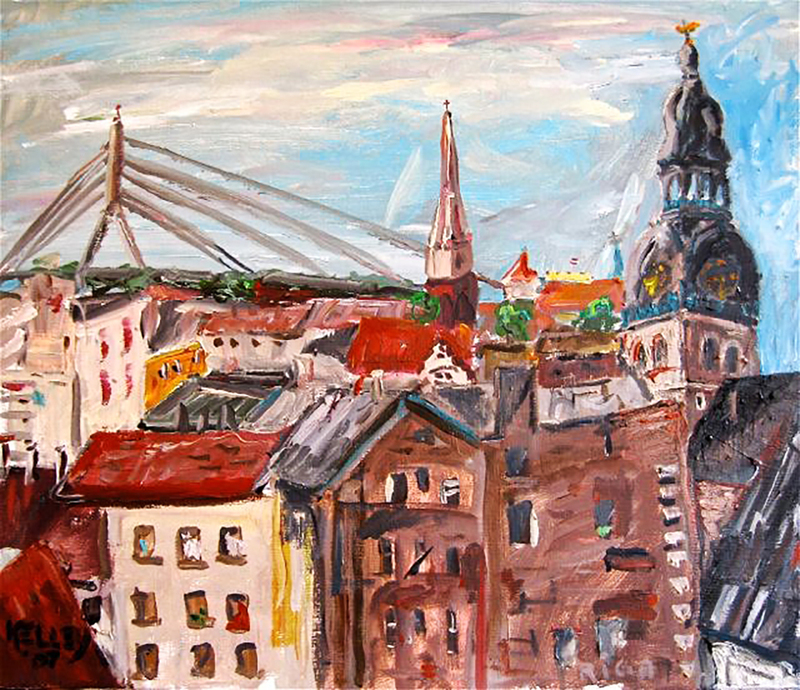 I painted this from the back side of the clock tower of Riga’s City Hall in 2007. It is a very unusual view of Riga’s skyline and the Riga Cathedral. Painted en plein air in 2007. Acrylic on stretched canvas. 18.1 x 21.2 inches • 46 x 54 cm.